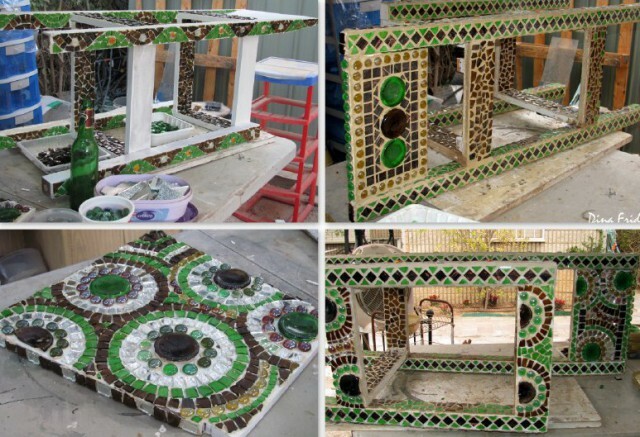 Many designers approach the issue environmentallyClean recycling of garbage from the creative side. What do they usually do with empty glass bottles? They pour liquids, they are collected and handed to glass containers, and they are also liked to be beaten by hooligans and ... designer Dina Fried! 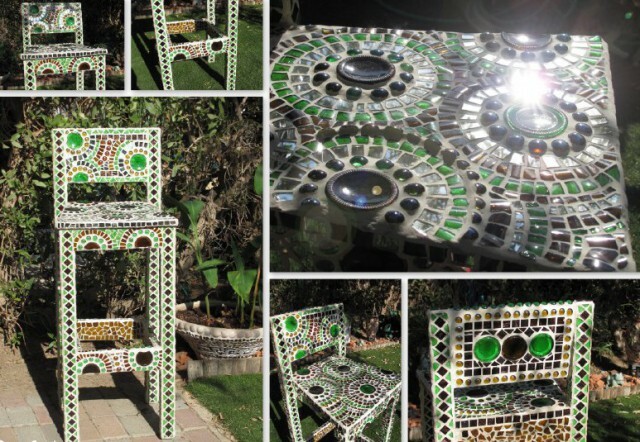 Dina offers a magnificent way to decorate old furniture with the help of pieces of any glass containers, mirrors and glass beads laid out in the technique of a mosaic created by oneself. Old, shabby chair after decoratingTurned into a tremendous throne, playing in the sun glare and letting sunny bunnies. 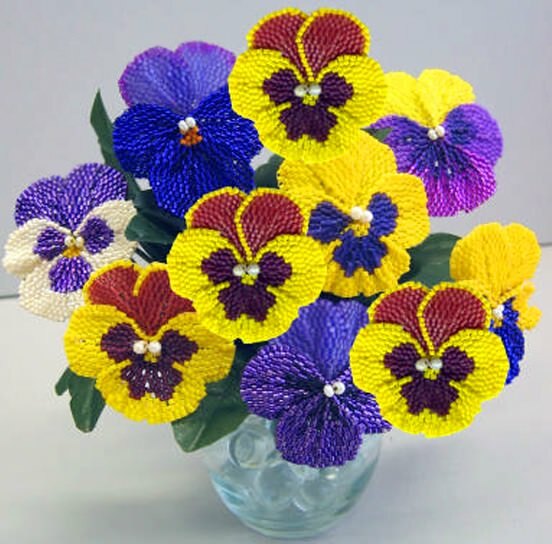 Such an interior item will certainly become central in any interior of the cottage, house or even apartment. 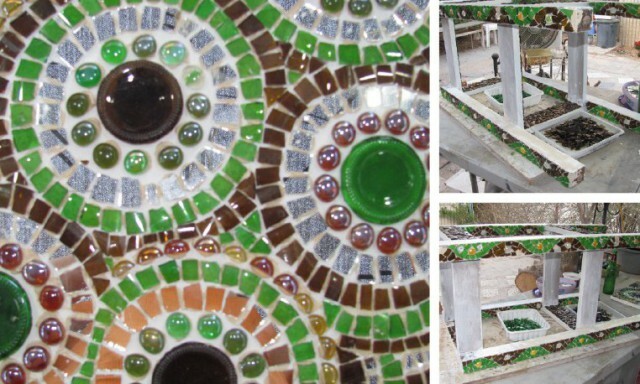 At its creation took about twenty brown and green beer bottles, one small mirror and several dozen glass beads (marbles). 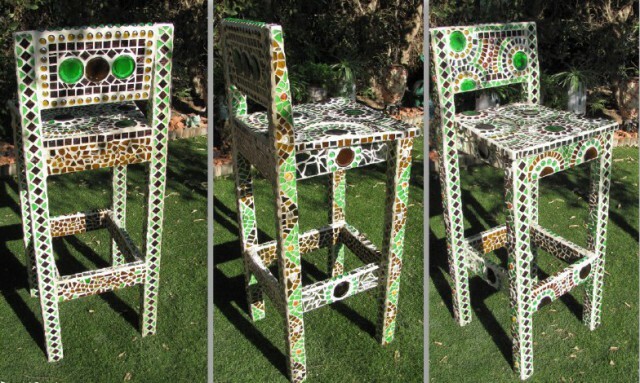 Mosaic is glued on all surfaces from allThe sides of the chair: front, back, sides, inside on partitions. For decoration, even the necks and bottoms of the bottles were useful, which became the central element of the pattern. Beating the bottle with a hammer is ineffective and dangerousMethod, there is a lot of debris and very sharp debris. Cut the mosaic fragments followed by a glass cutter in a circle - near the bottom and from the top before the beginning of the narrowing of the bottle. The resulting almost cylinder is conveniently further cut along into strips about 3 cm wide, and them - into triangles and squares. 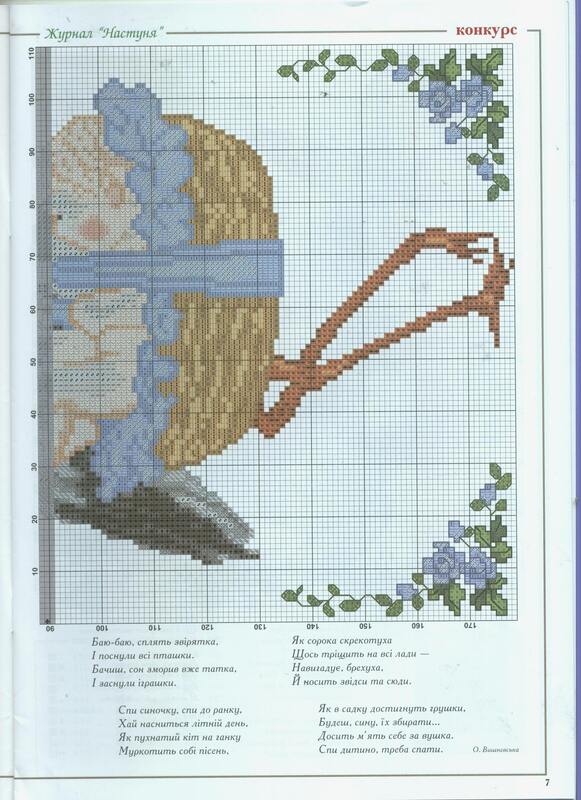 The mosaic must be glued to the tile glue. Glass pieces from bottles turn out to be convex, space must be filled with something, so that they have contact with the surface. The edges of the mosaic details are not scratched, as they are under the trowel. 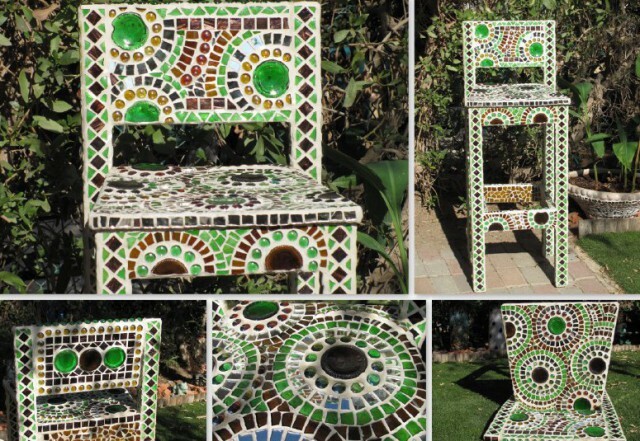 [Ad # handmade_related_posts] The original master-class furniture decor in the mosaic technique can be read here.